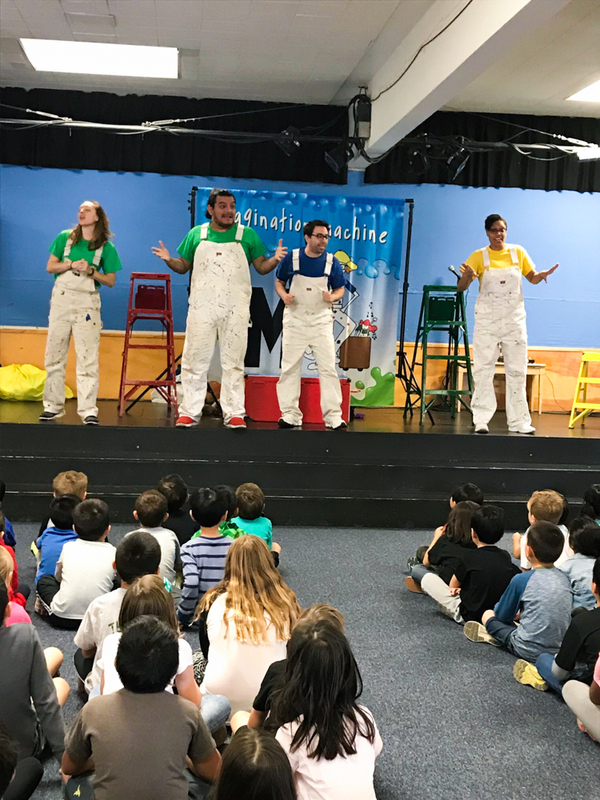 Primary students at Golden Elementary School were invited to write stories this past Fall in hopes that their creative plot would be performed by The Imagination Machine! Writing submissions, which followed the common core writing curriculum, were due in December. Stories were reviewed by the panel and there were four selected. Assemblies were held on January 24 for the primary classes. Professional actors brought the four exciting stories to life on stage using music, props, and costumes. The students were engaged every second and the MPR was filled with laughter. The selected authors beamed with pride and received a “Certificate of Writing Achievement” after the show. Golden could not be more proud of their Eagles and they look forward to new stories next year! Be the first to comment on "Students at Golden get creative with the Imagination Machine"